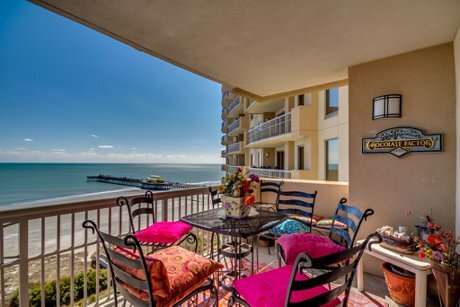 Margate Tower is a 29-story oceanfront luxury high-rise condo resort located within Kingston Plantation in Myrtle Beach. 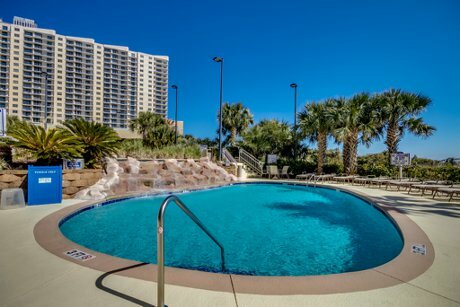 These spacious two, three, and four bedroom Myrtle Beach oceanfront condos range in size from 1800 to 2800 square feet. Each condo was cleverly designed to provide free flowing living and entertainment areas. Nine foot ceilings throughout enhance the open, vibrant atmosphere. The extravagant master bedroom spills onto the balcony which captures the light ocean breezes. The professionally designed gourmet kitchen is highlighted with solid surface countertops and a huge pantry. Each unit also has a full size washer and dryer. From the moment you open the double entry doors and step into the foyer, you understand the uncompromising luxury of The Margate. Amenities in The Margate will rival any condo resort on the Grand Strand. SPLASH! Waterpark features water slides, two large swimming pools, two kiddie pools, lazy river and three hot tubs. Kingston Plantation also features the first class Health and Sport Club. Racquetball, an indoor pool, aquacise classes, yoga, free weights and cardio equipment are all offered in this 50,000 square foot complex. Arcadian Shores golf course is also located within Kingston Plantation. Contact Beach Realty Group at 843-424-6900 and find out why so many people love owning a primary home or vacation getaway in Margate Tower at Kingston Plantation. Also check out Maison Sur Mer, South Hampton, Royale Palms, and The Pointe.